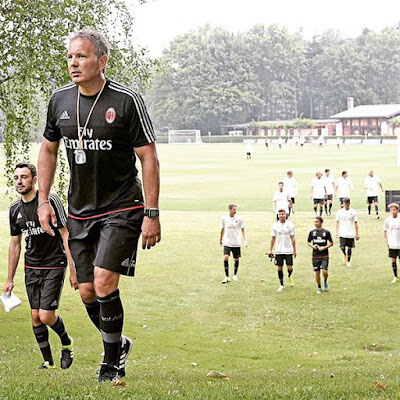 With our boys in lockdown at Milanello this week, it raises the question: Does a ritiro actually work? By having a “slumber party” all week, will it create enough intensity for Milan to overcome the deficit in quality and beat Juventus? Or even play well? Or will it feel more punitive and have the opposite effect, demoralizing the players and having them play worse (if that’s possible)? Will this slumber party bring sweet dreams or will it bring nightmares? Will he valiantly lead them into battle? Or will they cry like little girls and give up? Diego Lopez’ wife spoke out against the ritiro on Instagram asking how she was supposed to explain to her daughter why daddy wasn’t coming home, which earned her some hate from Milan fans. Then there were reports that Bacca was not particularly happy about it Sunday after the game as well. Is there anyone at all who actually likes a ritiro? But the biggest question is do you think it will be effective? Take the poll and let us know in the comments what you think.